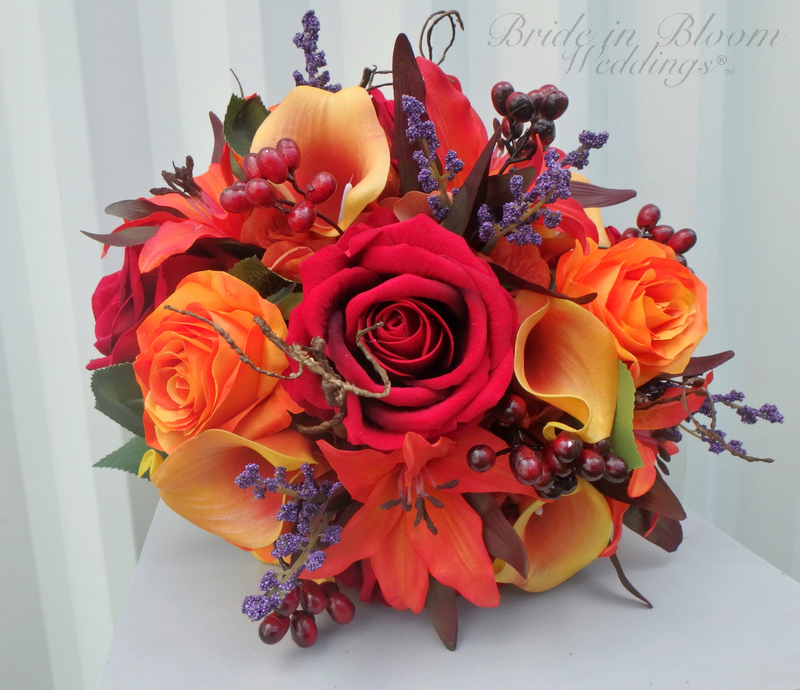 This wedding bouquet is wonderful vibrant presentation of reds & oranges. 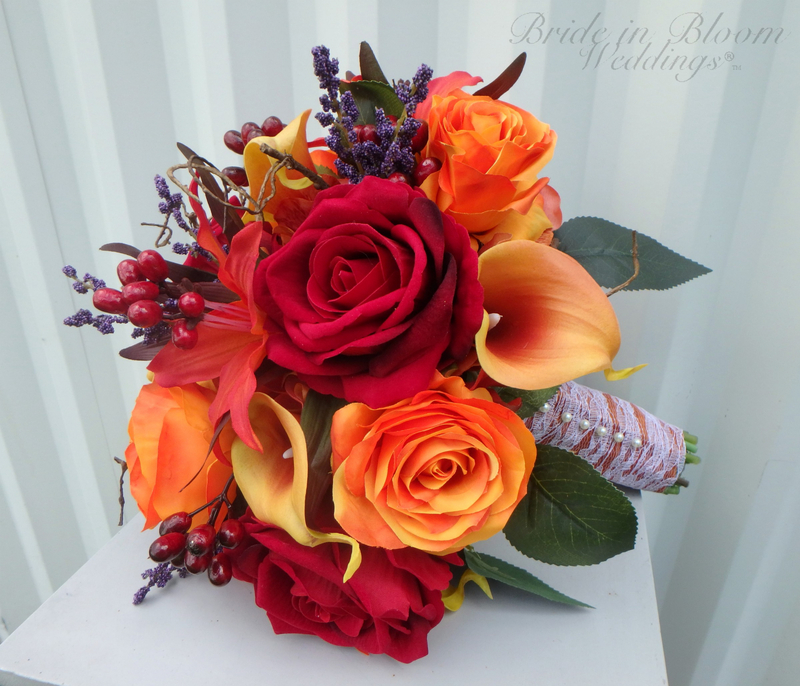 Your bouquet is designed with silk oriental lilies, real touch fall orange calla lilies, orange and deep red roses, Purple misty, red hypericum berries, rustic hydrangea. 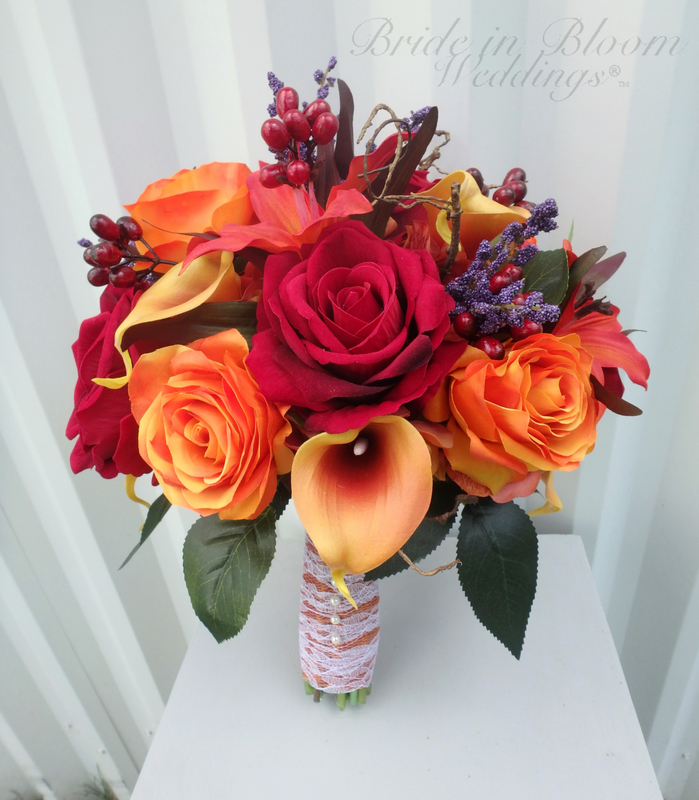 Greens and willow. 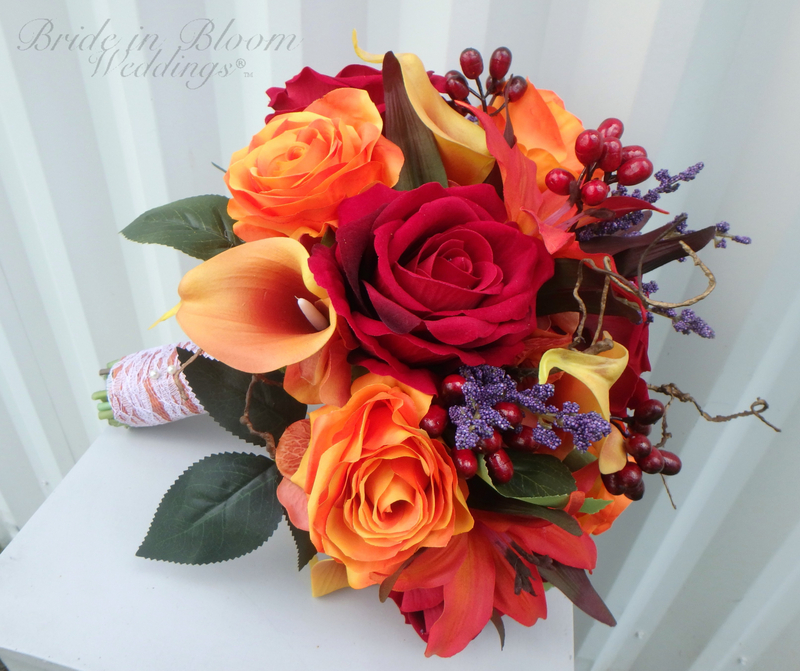 Rustic wrap, white lace overlay ribbon, creamy white pearl pins. 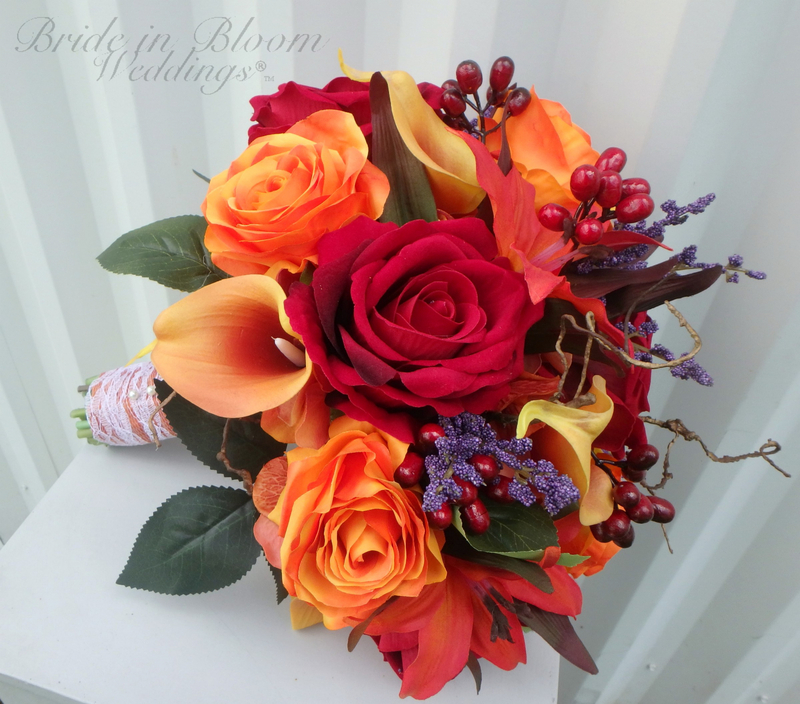 This is the perfect bouquet for a fall autumn wedding.